Yes it has indeed been awhile. I have fallen behind on my posting. I’ve also been traveling and falling behind on eating sensibly. I’m back home and bound and determined to set things right! I’m a firm believer in everything in moderation and that’s been the trouble. There has been nothing moderate about the food I’ve been eating and it has all been wonderful. But now its time to dial it back until the holidays – when gluttony will once again reign. Luckily, I find that my body and appetite tend to have an automatic “reset” button of sorts. After a week or two (or five) of eating wonderfully rich, complicated food I tend to crave simplicity. I must have sensed that this is what I’d want to eat when I pulled this recipe awhile back. I got home and knew this would hit the spot. And it did. The citrus and fresh oregano made it homey and just a bit unique. But not too unique. I’m done with unique for a while. Lemon Chicken with Butternut Squash comes from Food Network Magazine and is a good reminder that sometimes, simple is better. At least for now. Meanwhile, season the chicken with salt and pepper. Heat a large ovenproof skillet over medium-high heat. Add the remaining 2 Tbsp olive oil. Add the chicken; cook until well browned on the bottom, 3 to 5 minutes. Flip the chicken and transfer the skillet to the oven. Roast until the chicken is just cooked through, 5 to 8 minutes. Return the skillet to stovetop over medium heat. Add the garlic and cook until softened, about 1 minute. Add the lemon juice and remaining 1 Tbsp oregano. Cook, spooning the pan juices over the chicken for 1 minute. 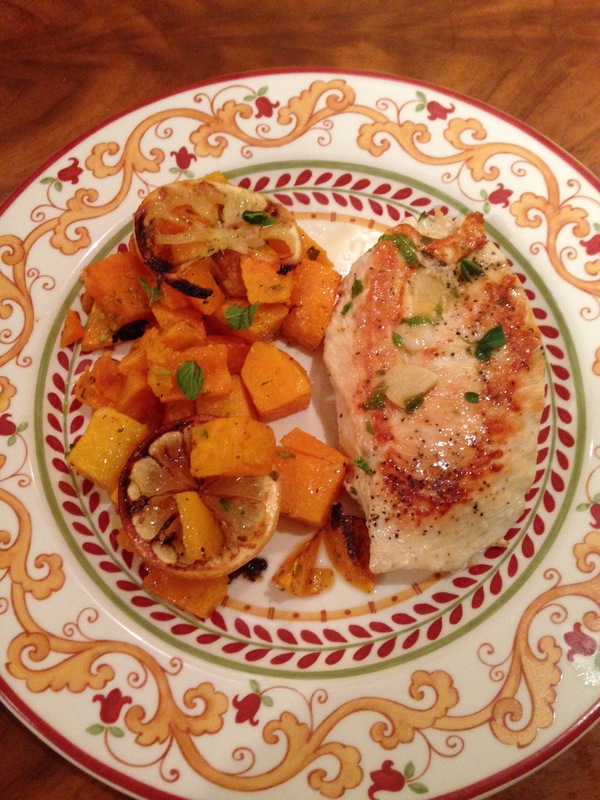 Serve the chicken with the roasted squash and lemon; drizzle with the remaining pan juices. I love the change of seasons — especially the entrance of fall. As the leaves change, oddly I find myself craving food that matches the colors of the falling foliage — orange squashes, sweet potatoes and peppers, red apples, red peppers and beets, and and the rustic brown of roasted meats, potatoes and of course, bacon! (but that’s another post). 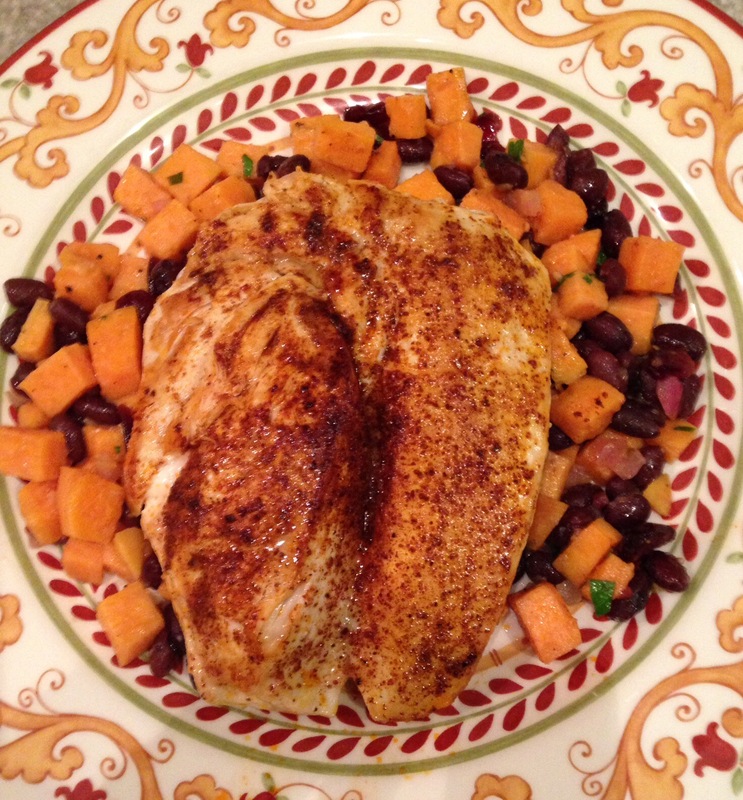 So when I found this recipe for Spicy Chicken Breasts with Sweet Potato, Black Bean and Cranberry Salsa I knew I’d be making it and that it would be delicious, which is was. What I didn’t expect was that it would be so gosh, dang perdy! I mean seriously, if this dish doesn’t just scream “Fall”!! then I don’t know what does. 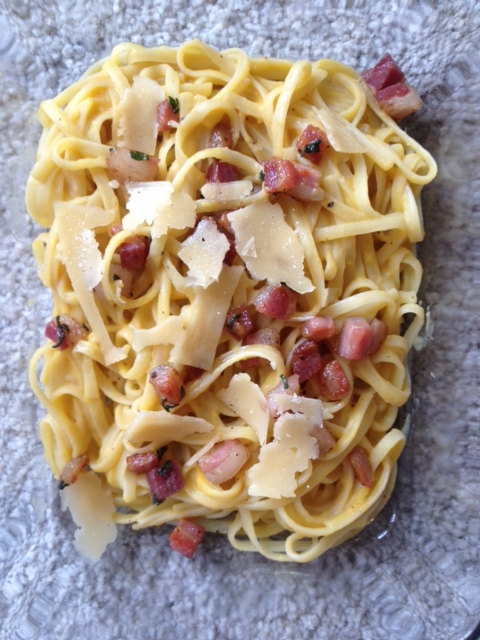 The recipe came from Fine Cooking and while it certainly is “fine” it is also incredibly easy. But there’s something to be said for just the right combination of colors, textures and tastes to bring absolute joy to the dinner plate. And this recipe does that beautifully.